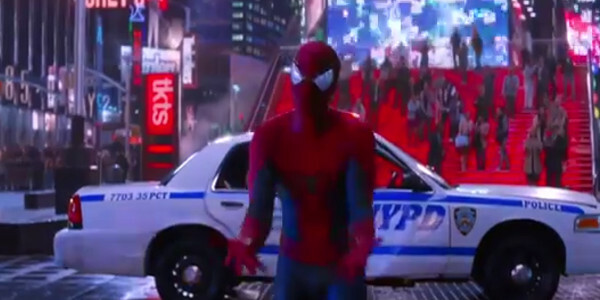 The obituary for The Amazing Spider-Man 2 was written long ago, adding new paragraphs with each new publicity photo (e.g, “Jaimie Foxx’s hair looks so silly!”) and theatrical trailer, the first of which featured special effects practically lifted straight out of The Amazing Spider-Man Playstation 3 video game. The cast list just seemed to continue to grow, with comic book characters Mary Jane Watson, Felicia “Black Cat” Hardy, Allistair “Spider Slayer” Smythe, Norman “Green Goblin” Osborn, Harry “Hob Goblin” Osborn, Electro, and Rhino all set to join Peter Parker and Gwen Stacey. Plus, from the outside looking in it came off as an astonishingly poorly managed franchise. Why? When the studio (Sony) officially announces a release date for not just Amazing Spider-Man 3 but also Amazing Spider-Man 4 it looks bad when the director (Marc Webb) and star (Andrew Garfield) reveal in subsequent interviews they first heard about Spider-Man 4 at the same time we did. So, fans’ spidey senses got to tingling since Amazing Spider-Man 2 (subtitled Age of Electro in some territories) was shaping up to to be a Spider-Man 3-like disaster of creative overreach. Well, go rip up the obituary. The Amazing Spider-Man 2 is NOT a franchise killer. It suffers, to some degree, in the expected ways, but it still packs a fair amount of fun into its robust 142 minute length. I didn’t love it. However, this is the type of comic book movie my 6-year-old nephew will likely enjoy far more than me just the same way I loved something like Batman Forever when I was a kid. I recognize ASM 2‘s similar charm, but I couldn’t quite give myself over to it. After a rather shaky prologue sequence depicting what exactly became of Peter Parker’s parents when he was a kid (did we need to find out Peter’s dad could go all Harrison Ford in Air Force One on bad guys when threatened? ), the film begins proper with Spider-Man swinging to his absolute heart’s delight across the Manhattan skyline. Mostly gone are Amazing Spider-Man 1’s widely reviled video game-like POV shots, with us instead watching Spider-Man from behind or just over his shoulder instead literally straight through his eyes. He thwarts a heist headed by a tattoed, Russian baddie named Aleksei Sytsevich (Paul Giamatti, who is playing it as big and cartoonish as possible, his accent reminding many of The Underminer in The Incredibles). 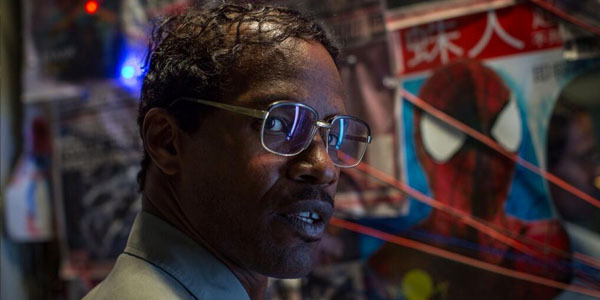 Along the way, Spider-Man saves sadsack Oscorp-employee Max Dillon (Jamie Foxx) from getting hit by a car, thus unwittingly creating a superfan, and manages to make it back to his high school graduation in time. While Parker and Gwen Stacy (Emma Stone) have been dating since the last film, they break up rather quickly here, with Parker’s guilt over going against her father’s wishes and NOT staying away from her being too big of a barrier. The story then jumps ahead a year, and at this point the rest of the movie is pretty much all in the various trailers and TV spots. Seriously, you won’t realize it until you see the movie, but the last 30-seconds to 1-minute of Amazing Spider-Man 2 has already been shown in the trailer. As with the trailers, much of the screen time is devoted to the origin stories for the villains. Max Dillon goes all blue and lightning-y after a lab accident with experimental electric eels, and decides to take it out on Spider-Man because…well, because shut up, that’s why. Dane DeHaan’s Harry Osborn goes all green since his father, Norman (Chris Cooper), never bothered to tell him he had a hereditary degenerative, ultimately fatal condition, and the experimental drug he takes has Goblin-shaped consequences. Plus, if you thought Giamatti’s over-the-top-and-then-some take on Rhino could be contained to just that opening scene you’d be mistaken. There are amultiple supporting characters (B.J. Novak’s Alistair Smythe, Felicity Jones’ Felicia Hardy) who are mostly just around so that they might evolve to become the likes of Vulture and Black Cat in future films. Plus, Martin Csokas’ Dr. Kafka rivals only Giamatti in the over-the-top department as a Oscorp scientist who likes his experiments just a little too much and talks like an even more exaggerated of the already exaggerated Dr. Strangelove is so strange you either hate it or love it. I was the former. Novak and Jones honestly barely register at all, and Giamatti also seems set up for an expanded role later on down the line. So, Foxx and DeHaan get the real heavy lifting, and it’s odd how their performances are kind of opposites. 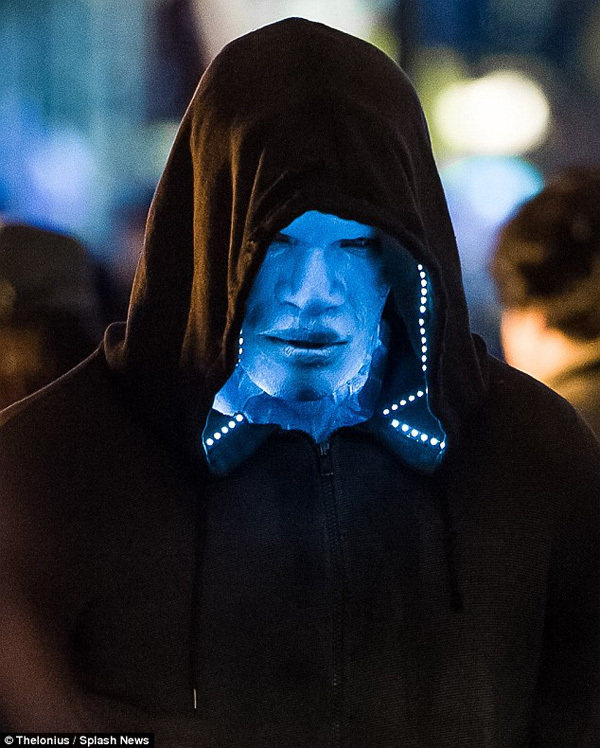 Foxx’s geeky version of Max Dillon is so broad that even The Big Bang Theory would beg for a little more nuance (one very quick fantasy sequence he has feels like it comes from an entirely different movie), but the moment he becomes Electro he is able to effectively channel the character’s confusion, frustration, and eventually white hot rage. It’s so unfortunate then that his origin is so poor because if we cared about Max Dillon at all we might be interested in Electro’s menace. The special effects for him are predictably fantastic, but based upon the script I’m not sure anyone could have done anything to make this character completely work. 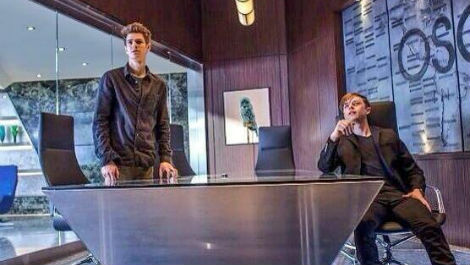 DeHaan, on the other hand, manages the impossible by taking the literally only 3 scenes he has with Peter Parker, and makes us believe these two were childhood friends with the camaraderie afforded years of shared experiences but sadness resulting from having been separated for so long since Osborn had been shipped away to a boarding school. It’s when DeHaan reaches full villain stage that his performance kind of falls apart, similarly hindered like Foxx by an impossibly rushed motivation for why he’s a villain at all. DeHaan is really just doing a riff on his Chronicle character throughout all of Spider-Man 2, but it’s when they put him under make-up that he oddly loses his edge. Sadly, with so much time being used to set up and pay off Electro and Goblin, the franchise’s absolute strongest asset, the chemistry between Andrew Garfield and Emma Stone, is left sadly undeserved. Look at those two-they’re adorable! That’s not to say the scenes they do have together are disappointing. One conversation they have about the things each of them will need to stop doing so that they can remain friends and not give in to romantic temptation (e.g., Gwen’s laugh really does it for Peter, apparently) is a particular delight. It’s more that you might be surprised at how little screen time they share together, and find yourself imagining a stronger version of this film which dropped Electro or Goblin completely and shifted some of that screen time to the central couple of the story. Garfield and Stone’s performances are incredibly enjoyable, although if I’m honest I still don’t love the way Garfield quips and jokes while he’s Spider-Man. It’s not just the villains gobbling up air time. Technically, the first Amazing Spider-Man was an origin story which only partially finished its own origin. This leaves it up to Amazing Spider-Man 2 to answer the question of what became of Peter’s parents and what the heck was going on with ASM 1‘s closing credits sequence with the mysterious man questioning Dr. Connors about whether or not he told Peter about his father. Screenwriters Alex Kurtzman, Robert Orci, and Jeff Pinkner, all three of whom are new to the Spider-Man franchise, do their best to provide resolution here, somewhat effectively using Peter’s search for answers to parallel him to Harry and (to a lesser degree) Gwen as orphaned children of absentee parents (although Gwen still has her mom, not that we ever really see her though). However, this ultimately feels like a story which should have either never been introduced in the first place, as Peter obtaining his powers via some corporate conspiracy involving his father sort of negates the notion of Spider-Man as an every-man, or resolved in the first film so the sequel wouldn’t have to frequently stop all forward moment and zig to the right so that Peter can think about his dad again. You can’t completely dismiss this stuff because it does result in a lovely scene with Andrew Garfield and Sally Field, who is not as present as much as she was in the first film but hits all of her scenes out of the park. However, it mostly contributes to the narrative bloat. Rosemary Harris always felt more like Peter Parker’s kindly grandma in the Raimi films whereas Field legitimately feels like the woman who raised Peter Parker in the ASM film universe. In general, the human drama and relationship beats are more in director Marc Webb’s wheelhouse, although he has improved considerably as an action helmer since ASM 1, finally delivering his first real standout action moment with Spidey and Electro’s Times Square fight. 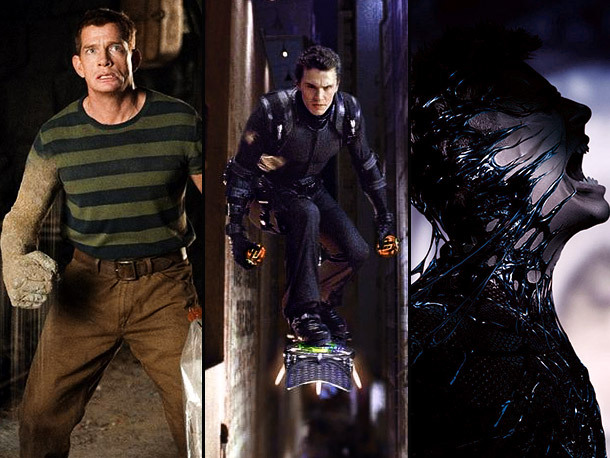 He is using a lot of the same tricks as Sam Raimi, but the technology has improved enough that they look so much better now than they did a decade ago. Like Raimi, Webb seems to let his enthusiasm get the better of him on occasion, and the transitions between scenes are not always as seamless as they should be, although he never resorts to old timey screen wipes and dissolves like Raimi did to distract us. Partially because the script is all over the place, Webb fails to adhere to a consistent tone, playing things for camp one scene and then taking itself pretty seriously the next. Webb would have been wise to try and rein in some of the overacting on display. The musical score is an odd collaboration between Hans Zimmer, Johnny Marr and Pharrell Williams, the latter two’s work most likely being heard underneath the slightly less traditional score associated with Electro throughout the film. Occasionally, actual pop songs (with lyrics which hilariously go overboard in trying to say exactly what the characters are thinking) creep in, but the meat of the score is a very traditional comic book movie theme from Zimmer, which is effective but won’t make us forget Danny Elfman’s iconic scores for the Raimi films anytime soon. Lastly, if you are somewhere where they will be showing the X-Men: Days of Future Past scene during the credits it’s not worth the wait. Imagine a scene flying at you with absolutely no context, and not even particularly cool action. That’s pretty much what it is. In an age of progress, The Amazing Spider-Man 2 kicks it old school. It doesn’t try to mimic Marvel Studios and insert comic book characters into a specific sub-genre of action (e.g., Captain America in a political thriller) nor does it worship at the almighty altar of Christopher Nolan. Instead, its cinematic touchstones are Jon Favreau’s Iron Man 2, Sam Raimi’s Spider-Man trilogy, and even, to a smaller degree, Joel Schumacher’s Batman Forever. Sometimes it manages to pull off its unabashed comic book storytelling due to winning performances from Andrew Garfield, Emma Stone, and Sally Field, and several dazzling action scenes that are pure fun. However, the tone jumps all over the place, there are too many villains/too little motivation, an overabundance of plot, and a corporate-driven need to set up not just sequels but at least one spin-off. The result is something which frequently threatens to turn into a truly amazing Spider-Man movie but never does.